Starting Tues January 8th at 7:30 p.m. for nine weeks. This series is for all those who came to the Intro to Traditional Witchcraft series last year as well as for anyone who would be new to Traditional Witchcraft in general. As those who have taken classes with me before know, each round of these series comes together differently. I never teach the same class or material in the same manner twice. Way too boring! So some students return to take these series multiple times and find new things round. These classes can also hold insight to the seasoned witch of other traditions and experiences. But I warn you old timers, I will be keeping this accessible to new people, and won’t be hijacked into deeper waters! As this is a 9-week series we will be rotating between classroom lectures and hands-on, practical ritual experience, every other week taking the previous week’s lesson to the floor. This is a more experiential method approach that offers the student a deeper understanding of the material, by taking it out of the realm of the theoretical and putting it into the realm of the practical. The objective to the Series is that the student claims insight into the material that enables true ownership and proficiency into the fundamental tools and aspects of working Trad Craft. During this series we will cover the full broad spectrum of the basic’s in all areas of Traditional Witchcraft, from spell-crafting, to Altars and basic magical tools of all sorts and onto all forms of Spirits, familiars, Ancestral, Gods and beyond! This is a comprehensive introduction to all areas and elements of Traditional Witchcraft Cosmology, how it works and why we need it! We will cover the creation of various forms of a working space for Witchcraft, setting up the basic Northern Quarter System. This is not a Wiccan Based Witchcraft system, we do not work an Elemental based Magical system nor do we work Golden Dawn Quarters. Also to be covered, working with the Moons and Sabbats and other subjects related to the tides of Fate and the Web of Wyrd. All this and a whole lot more, as anyone who has taken classes with me will tell–you always get more than you can handle! I am a Witch of over 40 years experience and over two decades of teaching and leading large groups in workings. I offer a structured system that works to support modern day Witches in practical application of and evolution of the Legacy they inheritably hold within their Witchblood! As noted above, this is not a Wiccan-based system, and it is different from what you may find in most books! 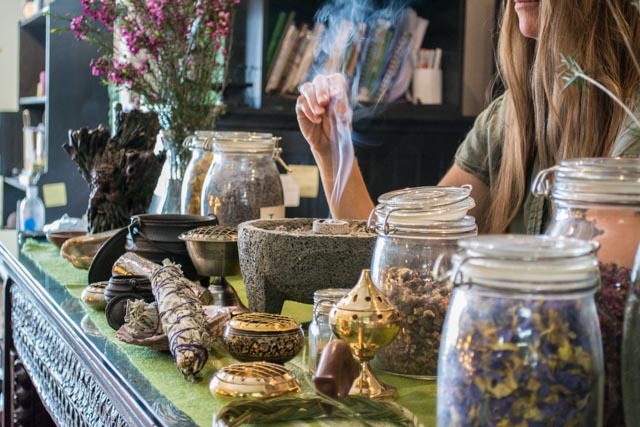 We work in conjunction with various kinds of Spirits and the practice of Magic as foundational. You may experience magic and high energy first-hand in these classes. An open mind to exploration into an alternative approach to the Craft is required. A sense of humour is also required! We take our work seriously but not ourselves. Our Spirituality, what some call the Olde Religion, is a path of laughter! Yes we do cackle! This class is normally only offered once a year and we do have class size limitations, so it is advisable to reserve a space for this series before the class fills up! 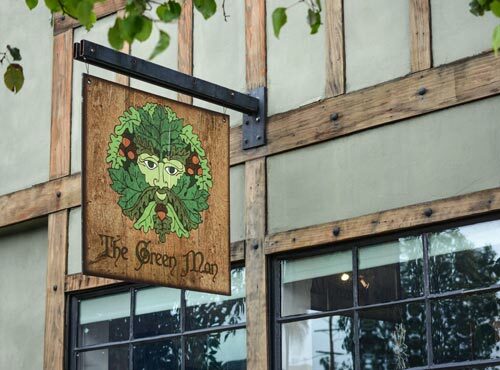 Call the Green Man at 818-985-2010. Reservations will be taken on a first come, first served basis.